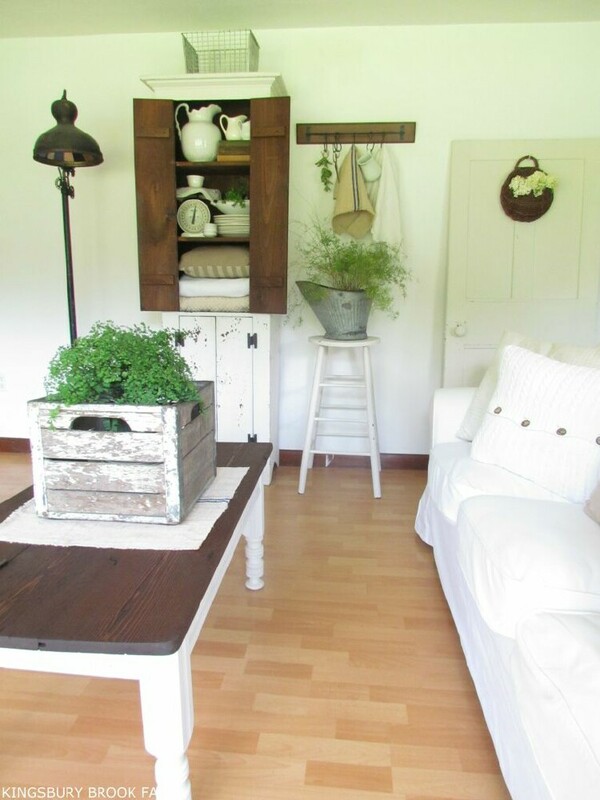 Kingsbury Brook Farm has been adding tons of fabulous farmhouse charm to her home. Check out her living room progress. I love a gorgeous french chair and making one over is one of the doable types of upholstery that I can do. She Holds Dearly shared the best and most detailed step by step on how she redid this gorgeous chair. 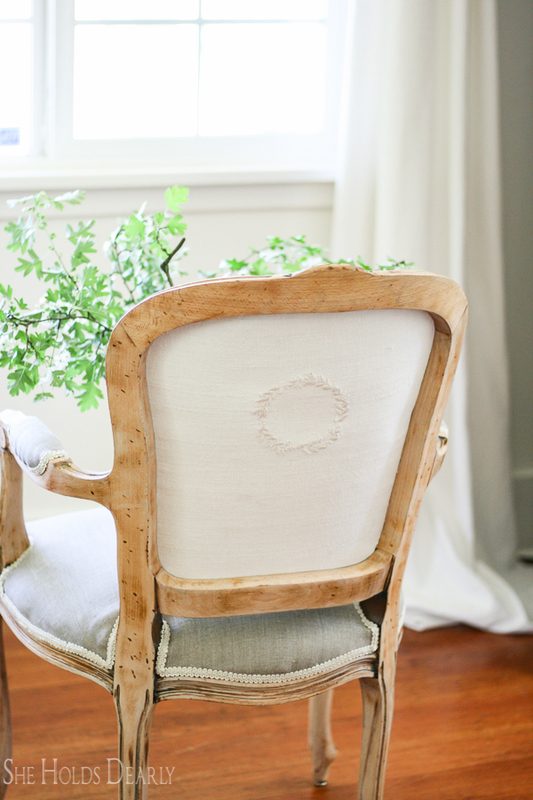 I love the gray and how about that fabulous monogram wreath on the back of the chair. LOVE IT. I don't think any of us like a shed, but if it looks like this I would take it in a heartbeat. 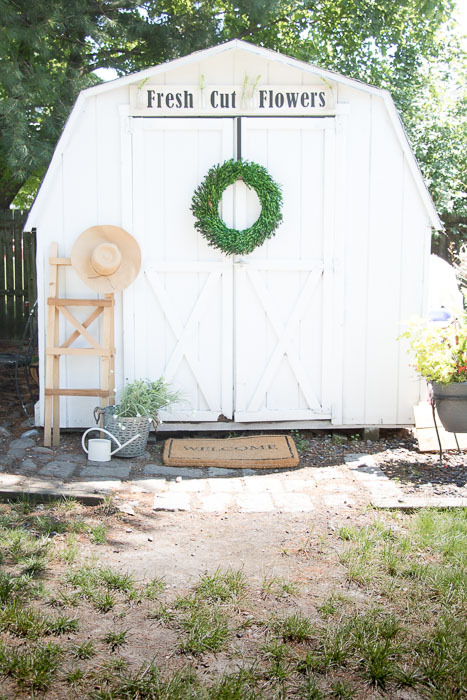 Seeking Lavender Lane gave their shed a total makeover and it is awesome. You have to see the before to really appreciate this. Sometimes we look at some of the old tile styles and wonder "why". Clover House really needed to bring her entrance up to date. Look at the fabulous wood look tile they went with and be sure to check out there easy step by step tutorial too. P.S. Anyone have a contact with LG Appliances. If so email me if you would please. Thanks tons. Thanks so much for hosting, Marty! Wishing you a wonderful week! Thanks for hosting us, Marty! Have a great week. Thanks a bunch for hosting the link party, Marty. I'm looking forward to visiting some of the links. Thank you so much for featuring my farmhouse living room and for hosting this party every week! Have a great week Marty! Great features! Thank you for hosting the party! Thank you for the party and have a great week, Marty! Thank you Mary for your 387th Inspire Me Tuesday, appreciated. I made it, Marty! It's so rare that I get to link up these days, but I'm so glad to be here. Thank you for the wonderfully gracious job you do hosting this party. You're a shining light in the blogging world! Hi Marty! Thank you so much for sharing my Shed makeover this week! It was such a nice surprise! I just realized I never linked up! Thanks for hosting, Marty! Happy Wednesday Marty and thanks for hosting, I always enjoy your parties.